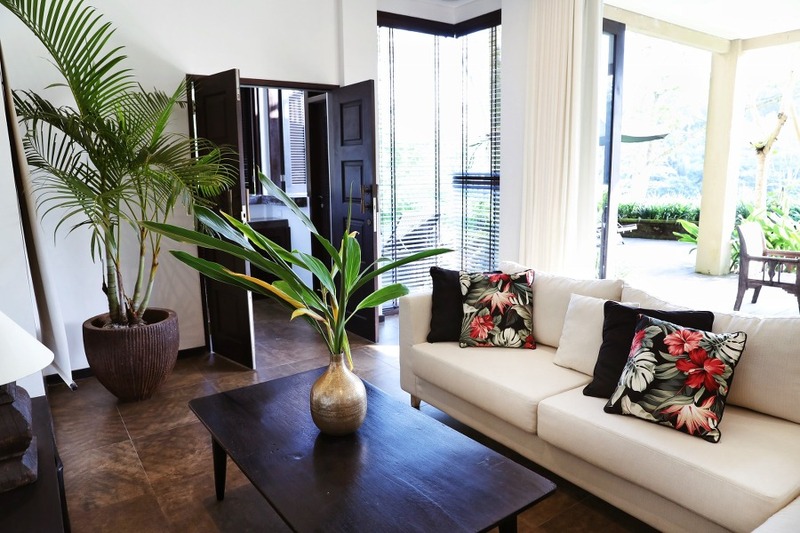 Bali’s jungle town Ubud has welcomed a new stunning hill residence to its enchanting accommodation portfolio. 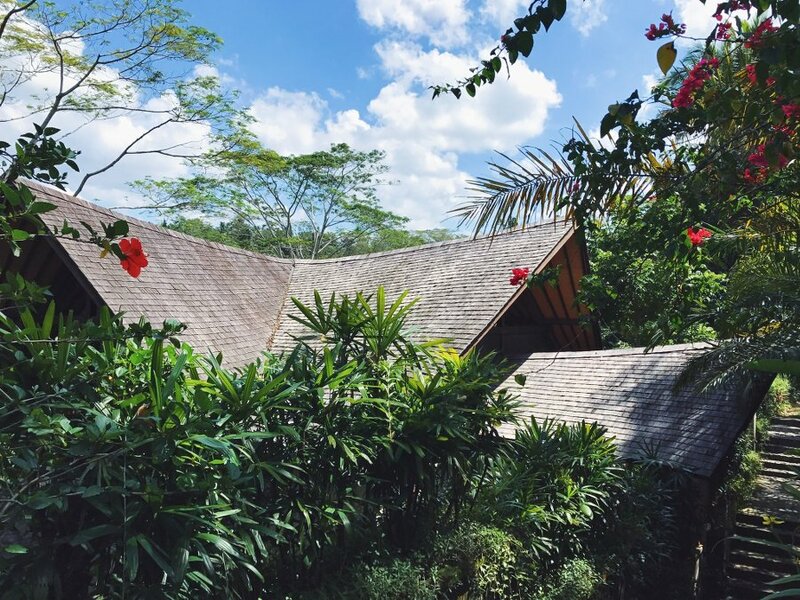 The 4-bedroom Villa Naga Putih (Bahasa for ‘white dragon’) is located in a spectacular rainforest setting high above the calming sounds of Petanu river in the historic Umahanyar village, a short five kilometres east of Ubud. 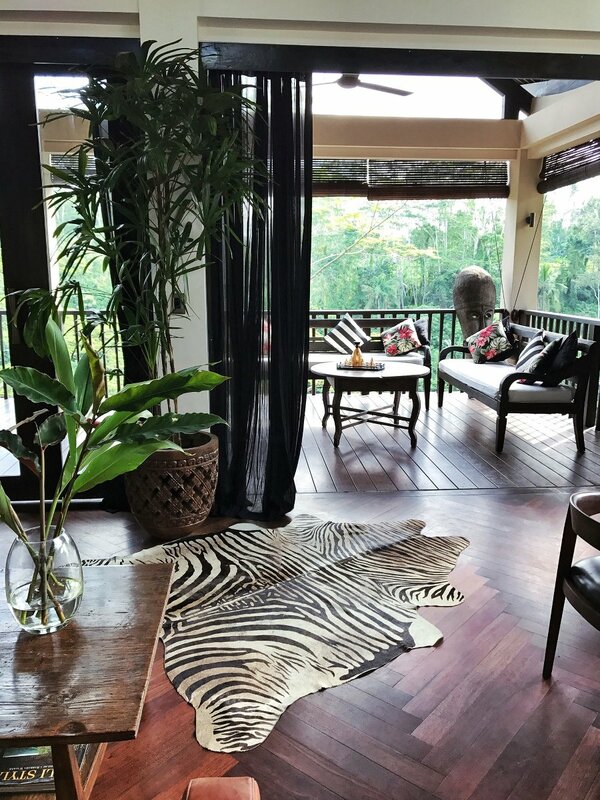 Be prepared to have your breath taken away when entering your luxury jungle home through the wide wooden doors on the third floor overlooking the valley as you’ll be stepping into a living space taken right out of a magazine! 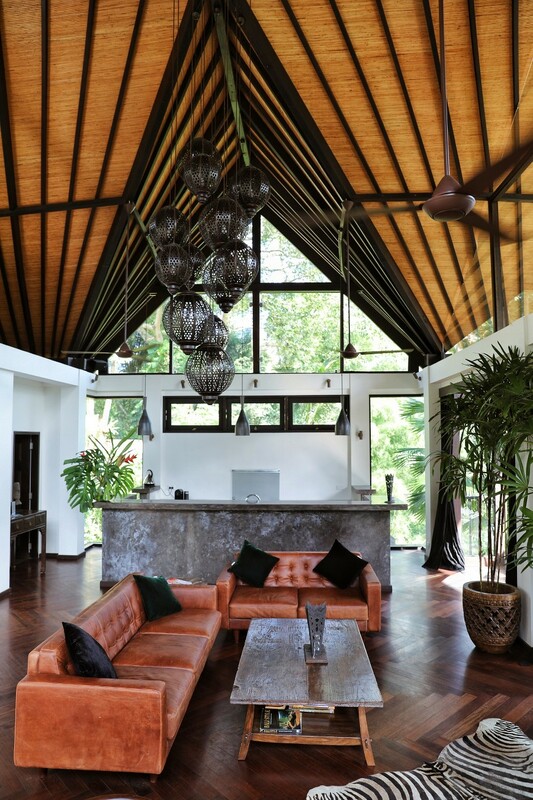 Escape Bali’s busy coastal towns on the west coast and immerse yourself in the tranquil and highly elegant setting of this three story contemporary interior heaven in Ubud. 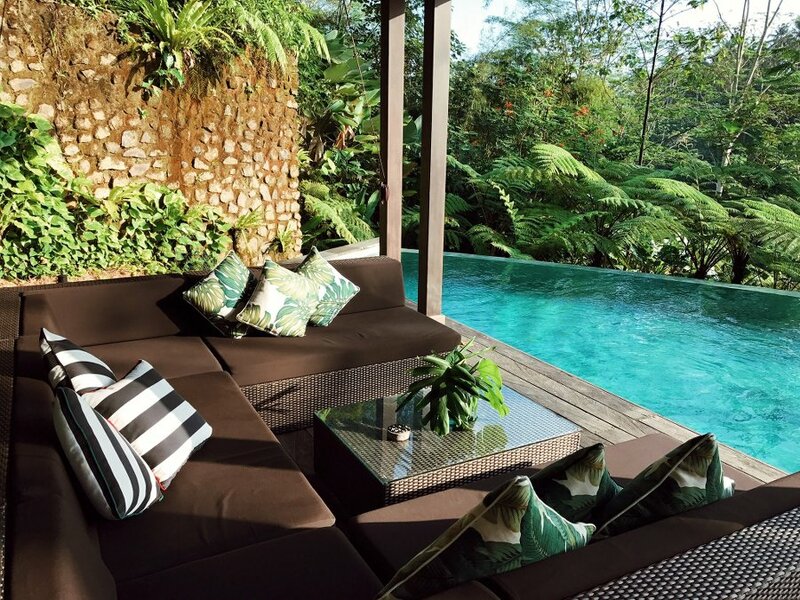 Villa Naga Putih’s spacious four air-conditioned bedrooms with ensuites are set on the second and ground floor boasting tranquil jungle views whilst not foregoing world-class luxury. 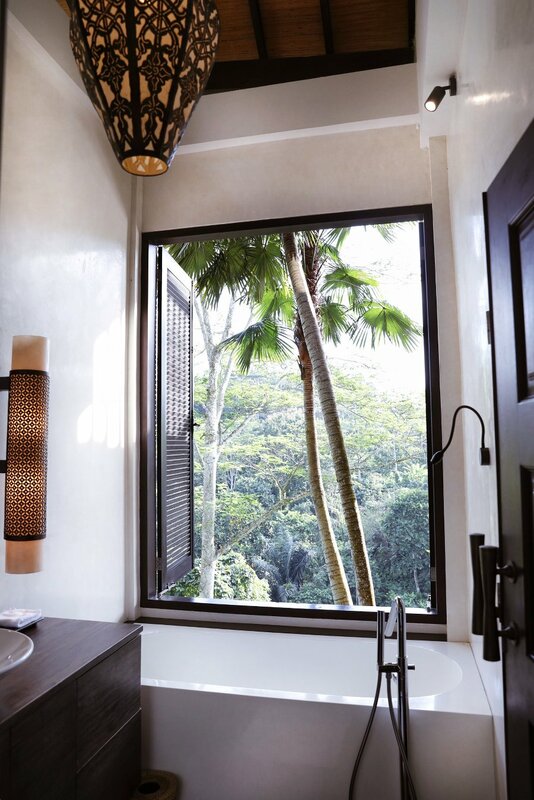 Being equipped with state of the art technology is only one of the well-thought details amongst the mesmerising design elements, making your jungle stay in Ubud even more memorable. 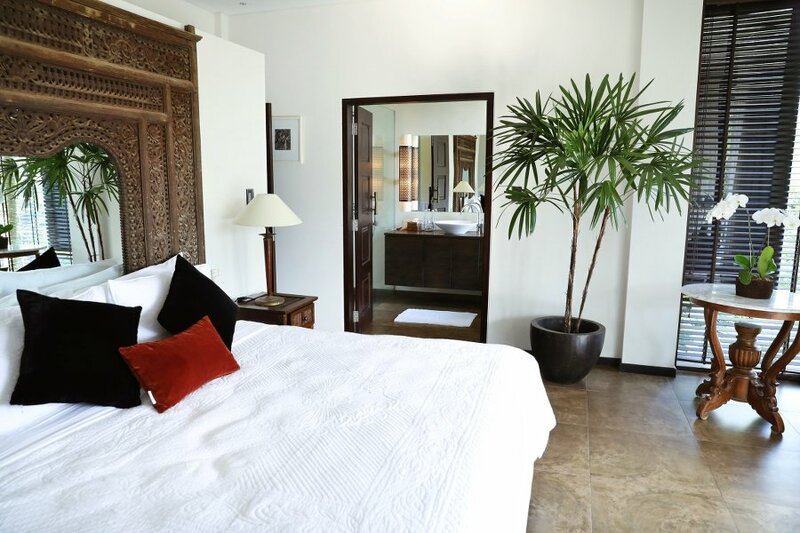 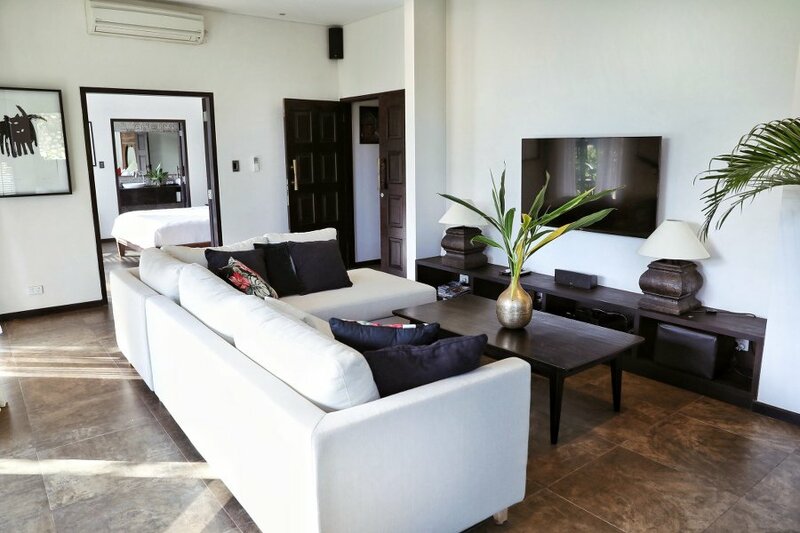 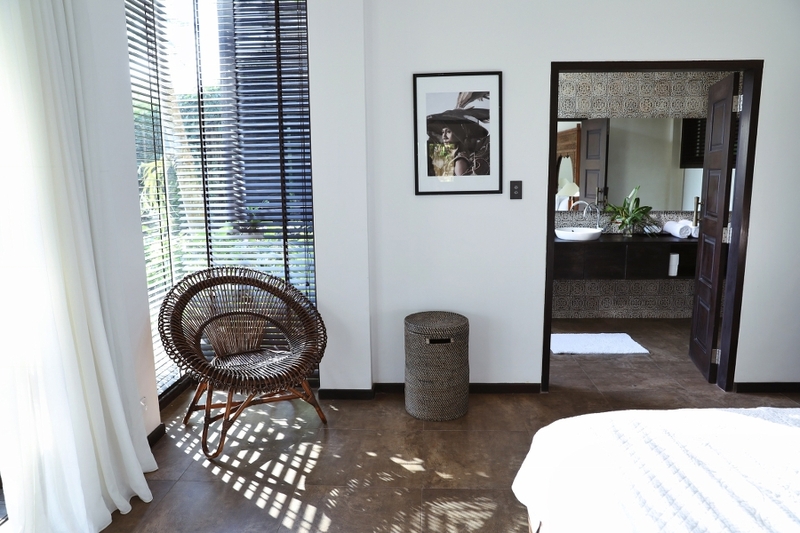 The spacious, sun-drenched bedrooms with own ensuites overlook the lush jungle valley on the second floor and the well-manicured gardens on the ground floor – offering plenty of privacy if you want to retreat from the social hustle and bustle. 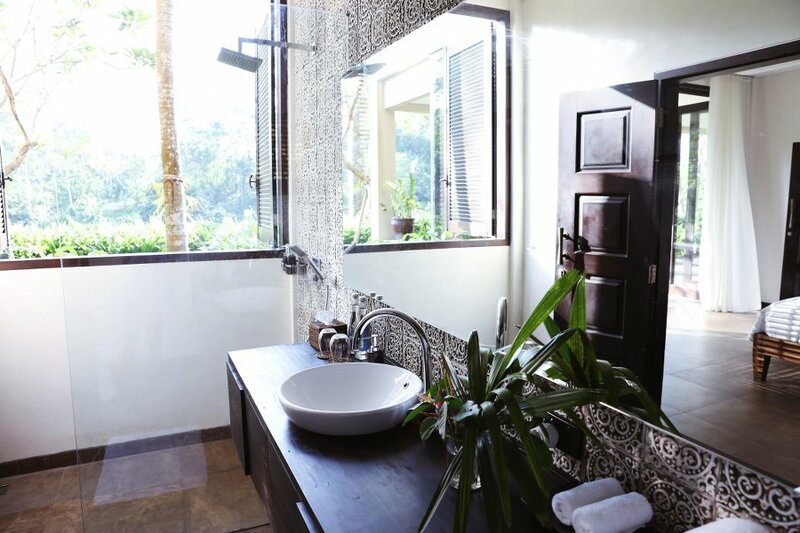 Featuring locally made designs such as the heavenly comfortable beds, uber-stylish chairs and tiled-bathroom walls, lets you truly experience the beauty of Balinese craftsmanship firsthand. 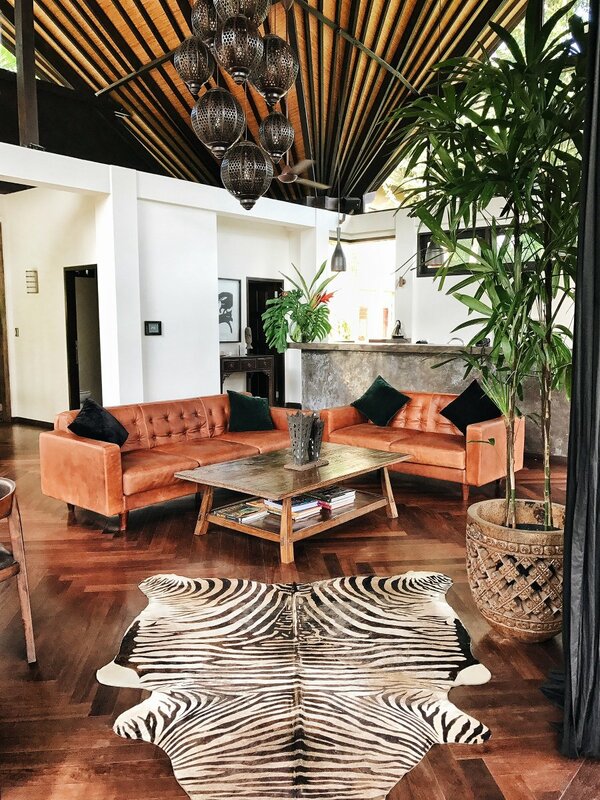 Find a well-curated selection of beautiful plants and other stylish interior bits and pieces such as velvet cushions uniquely made for Villa Naga Putih throughout the bedrooms and living area. 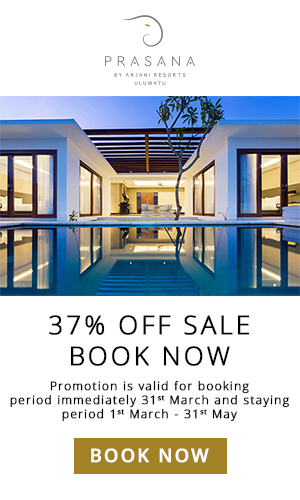 Dive into the 13m infinity pool overlooking the tropical wilderness to relax and unwind before being spoilt by Villa Naga Putih’s most lovely staff with a healthy breakfast on your spacious pool terrace or nestled amongst treetops on your expansive living room balcony. 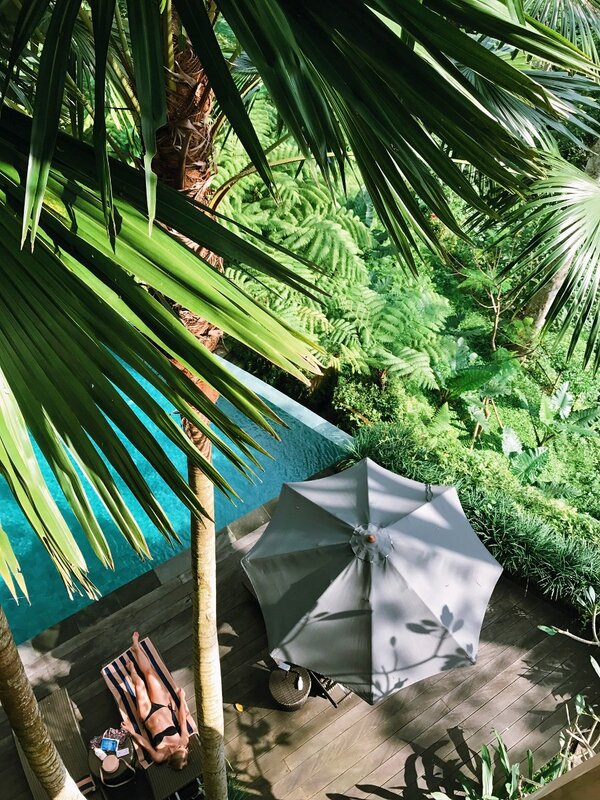 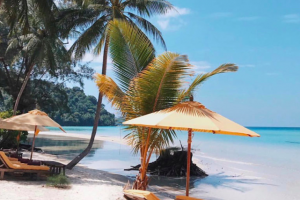 Free your mind by lounging in the poolside gazebo overlooking the large infinity pool, getting lost in your latest novel while listening to the soothing sounds of the surrounding jungle. 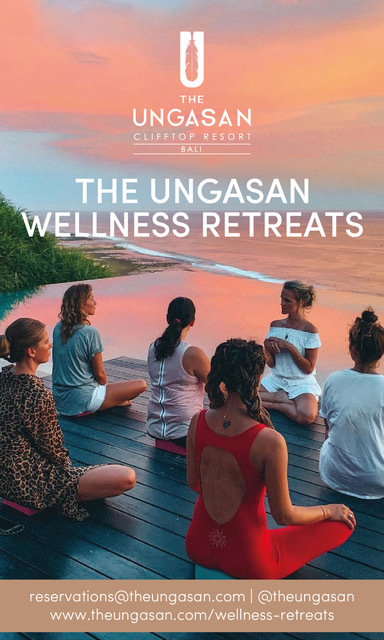 Venture to Ubud town for a night out at one of the best restaurants in Ubud with a driver organised by Villa Naga Putih or make use of their grocery shopping service if you don’t want to leave your new luxury jungle home. 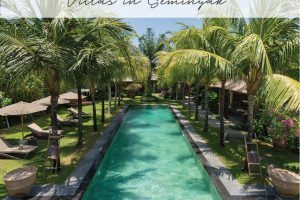 The buzzing jungle town spread across the cool mountains in the heart of Bali is known for its spirituality and cultural centre of the Island of Gods. 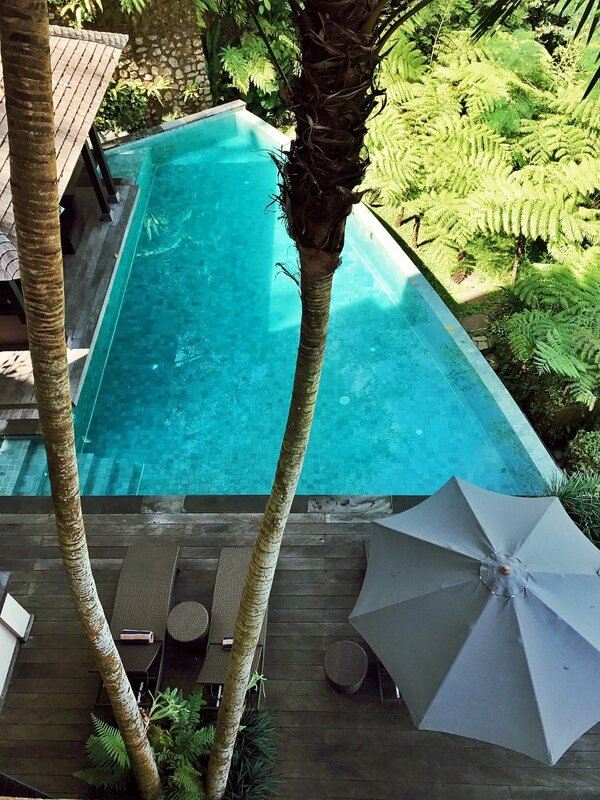 You will pass enchanted rainforests, breathtaking ricefield paddies and mesmerising Hindu temples on your way through the hills of Ubud. 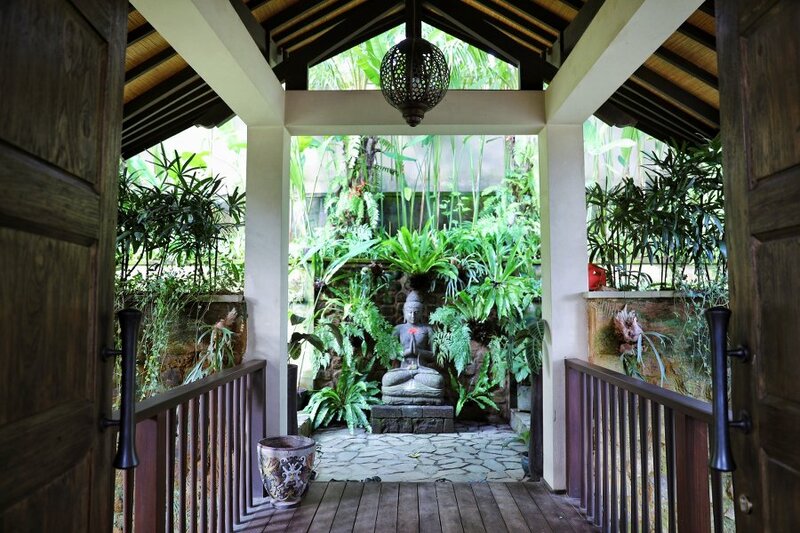 From yoga lessons, to health cafés and world-class cuisine – Ubud is waiting to be explored! 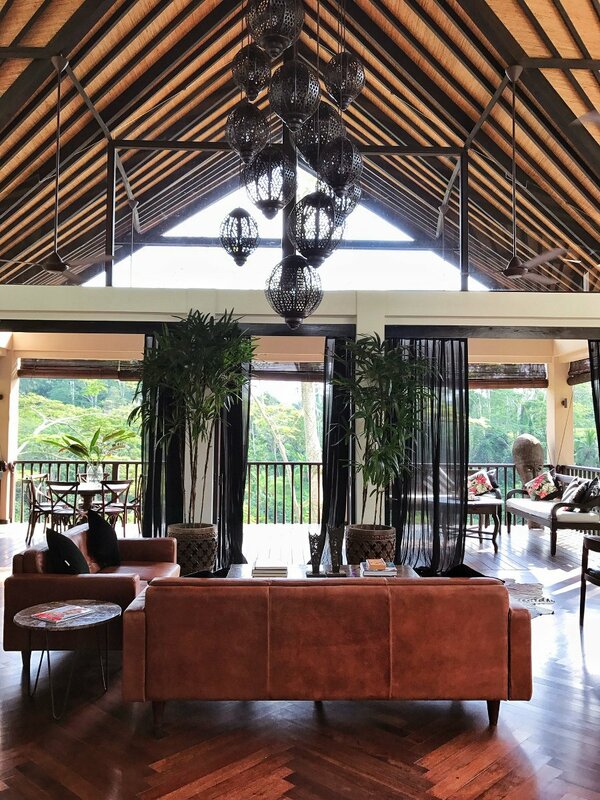 Villa Naga Putih’s manager will be more than happy to guide you to the must-sees in Ubud and organise your tours making your stay at Bali’s centre unforgettable.